The Challenge: Take on a new skill or hobby every month and learn or do as much as you can within thirty days. This is the story of one girl's quest to find what she loves to do, and finds herself along the way. 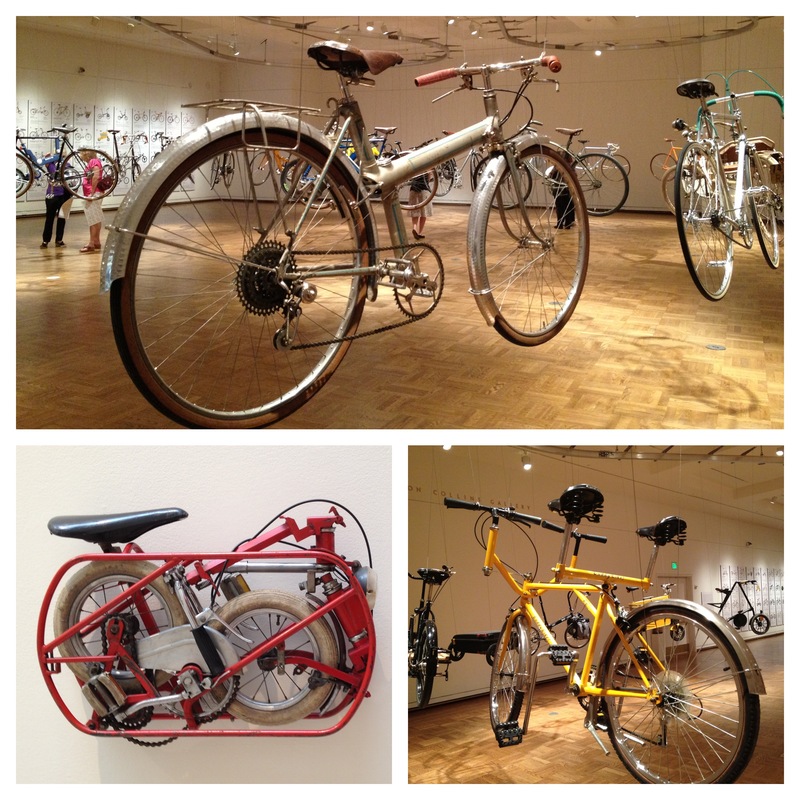 Went to the bike exhibit at the Portland Art Museum this morning. 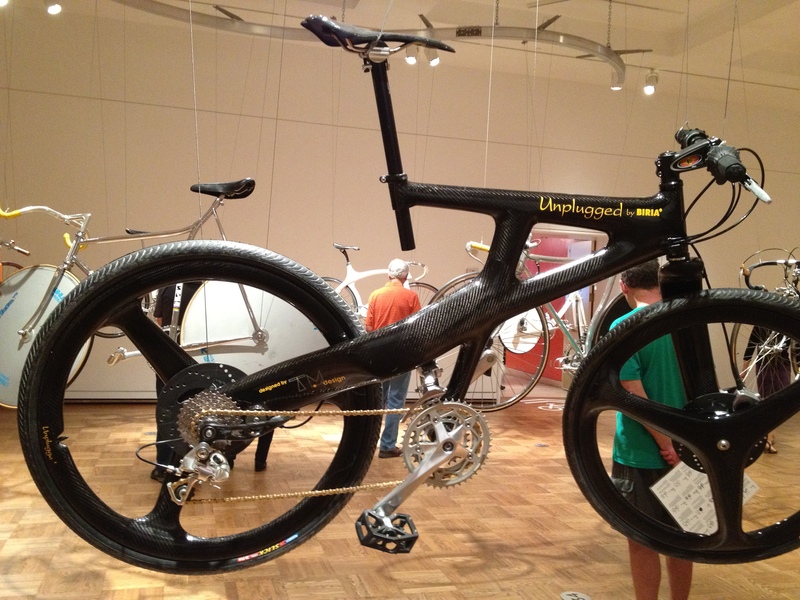 Pretty excited there just so happens to be a bike exhibit during bike month. It’s the first time I’ve ever been to an exhibit here and was surprised at the $15 admission fee. The exhibit took up one very large room and had 40 different bikes hanging from the ceiling with descriptions of how they broke the bike mold or influenced different trends. I was hoping for more. I had thought it would be an evolution of the bicycle. Not to say that it wasn’t informative and cool to see, because it was. There were several bikes built to fold in half or more to be used as carry-on luggage or be hurled out of an airplane for military use. That yellow tandem “buddy bike” can only be used with two people. The one on the left controls the steering even though they both have independent handlebars. There was also one so rare and priceless that was blinged out with a gold chain. So fancy! This entry was posted in biking and tagged art, bikes, cyclepedia, downtown, hobby, museum, new, PAM, portland. Bookmark the permalink.